UFAM & Scott Masi greatly thank Adam Hamilton & Rochester Evidence-Based Psychotherapy Clinic for the Bronze Sponsorship to support the 2018 Recovery Live Residency Tour. UFAM & Scott Masi warmly thank Tom Gisewhite and 1st National Bank for the Gold Sponsorship to support the 2018 Recovery Live Residency Tour. Unite to Face Addiction - Michigan & Scott Masi greatly thank Kathy Reddington & Capital Area Project Vox for the Gold Sponsorship to support the 2018 Recovery Live Residency Tour. 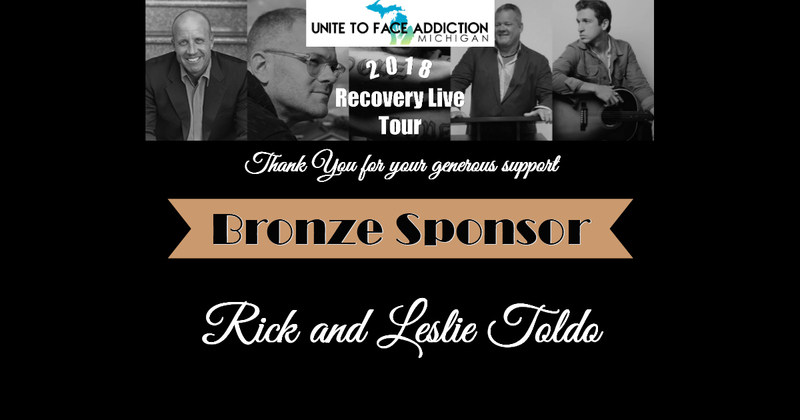 Unite to Face Addiction - Michigan & Scott Masi greatly thank Kelly Rogers & Tanis Shelter and Brighton Center for Recovery for the Gold Sponsorship to support the 2018 Recovery Live Residency Tour. 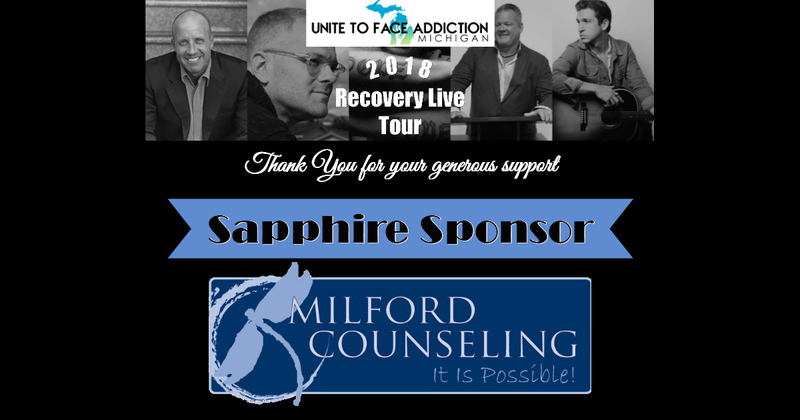 Unite to Face Addiction - Michigan & Scott Masi warmly thank Kenneth Briggs & Meridian for their generous Sapphire Sponsorship to support the 2018 Recovery Live Residency Tour. Unite to Face Addiction - Michigan & Scott Masi warmly thank Jane Atwell & UAW Local 598 Flint Soberfest for their generous support for the 2018 Recovery Live Residency Tour. 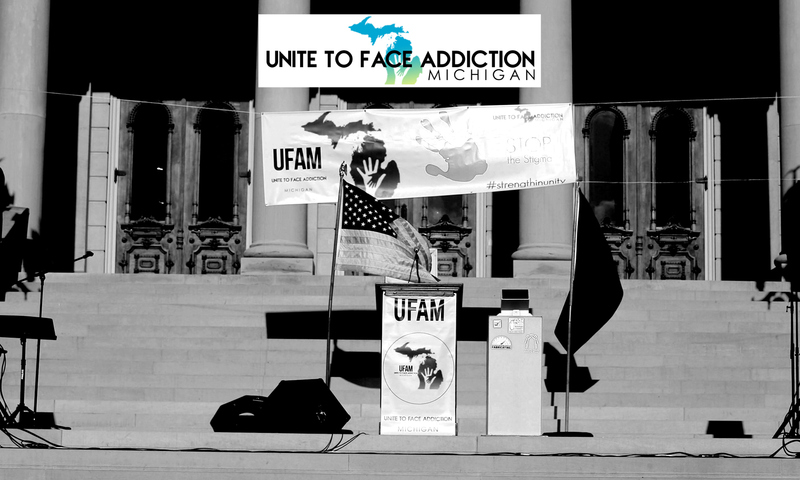 Unite to Face Addiction - Michigan & Scott Masi warmly thank Darlene Rosati & Shalom Lutheran Church for their generous Gold Sponsorship to support the 2018 Recovery Live Residency Tour. Thank you, Rhett and Elizabeth Reader & Milford Counseling, for your generous support for the 2018 Recovery Live Residency Tour. Thank you Rick & Leslie Toldo for your generous support for the 2018 Recovery Live Residency Tour. Thank you to Bruce Goldberg at River's Bend for your generous support for the 2018 Recovery Live Residency Tour.